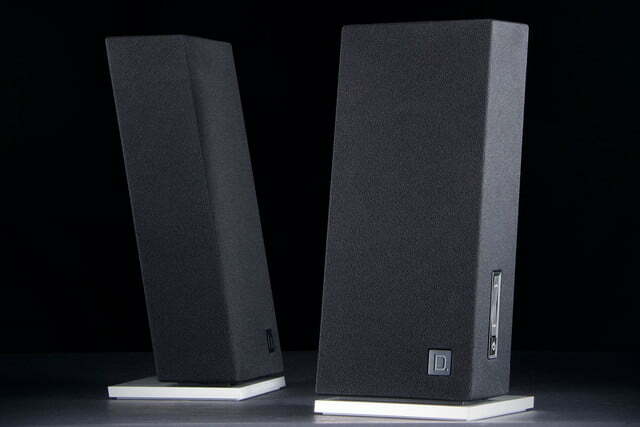 Definitive Technology’s Incline speakers provide rich, powerful sound in a compact package, with plenty of ways to play your favorite audio source. Definitive Technology has a knack for making speakers with a seriously full sound. The company’s not-so-mysterious secret lies in its proclivity for bipolar designs, which use drivers at both the front and back of a speaker to create a big, powerful stereo image that bounces off of back walls and barriers and floods the room with energy. 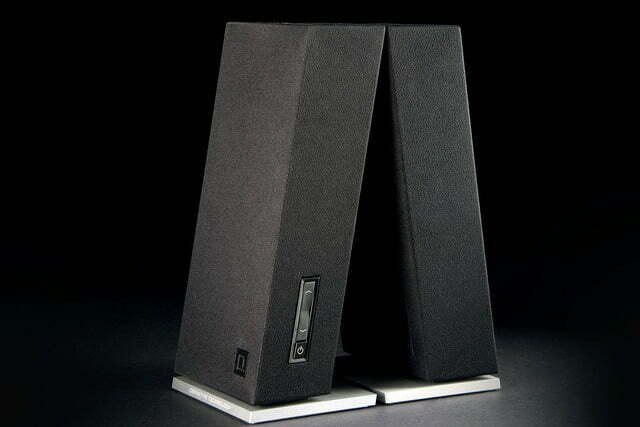 While a lot of companies employ bipolar designs, it’s not something you’d expect to find in a desktop speaker. But that might be about to change thanks to Def Tech’s latest bipolar creation, the Incline. Packing a built-in DAC, a bevy of drivers, and built-in amplification with a relatively generous 80 watts of total power, the Incline isn’t your casual listener’s desktop setup. Of course, at $400, it isn’t priced like one either. Wondering if the Inclines could live up to their promise on paper, we put all 80 watts to the test. Opening the system’s black and electric-blue packaging, we found the speakers resting on their sides in heavy layers of packing foam. 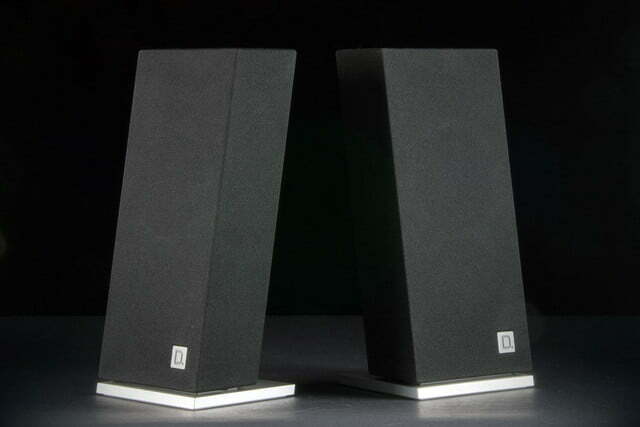 Pulling the speakers from the box revealed a pair of rather innocuous-looking monoliths, covered almost entirely in soft black speaker grilles. The Incline look like miniature skyscrapers hovering above solid stands of machined aluminum and sitting back at a slight (no surprises here) incline. Simple though the design may be, the speakers exude a solid, premium aesthetic, and they bear a hefty weight for their size, indicating some robust hardware within. Examining the side of the right speaker revealed a slim plastic control panel for volume and power. At the back, we found an input panel covered with a plastic plate with cutouts for a few input cables. Through the holes we could see a four-pin speaker port for linking the two speakers together, a USB input, and a power input. 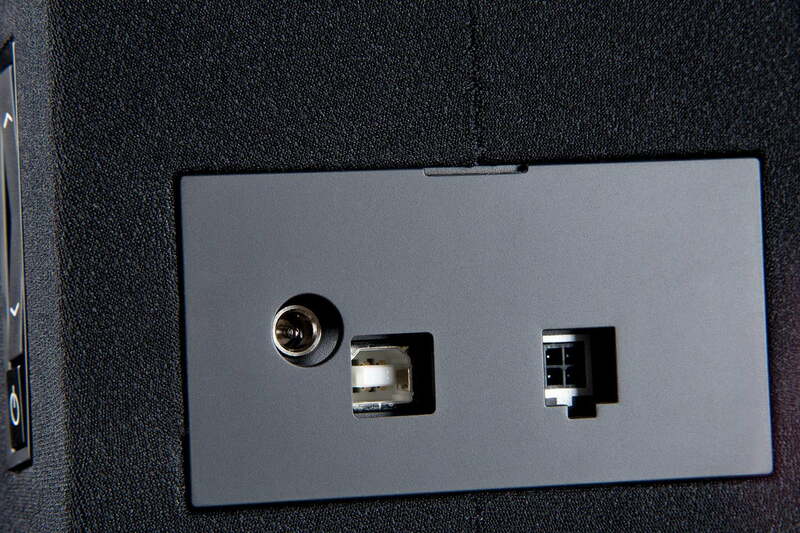 However, prying the stubborn plate loose unveiled even more ports, including a 3.5mm stereo input, a digital optical input, and a subwoofer output. Inside the box we found a small setup guide, as well as all of the cables we might need to put the system into action, save an optical cable. One other exclusion in the accessories list that we noticed right away was any form of remote control – it seems the Inclines are fashioned strictly for close-up desktop operation , though as we found out later, their performance would seem to suggest they are capable of a much larger role. While the Inclines’ overall design may not be particularly striking, these things look good flanking a computer monitor or TV. 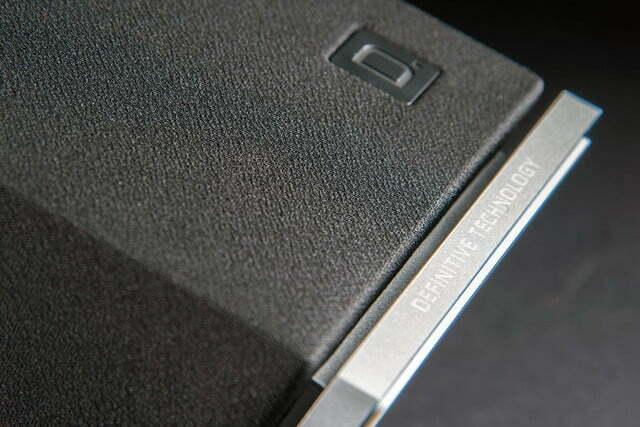 Clean lines surround smooth matte surfaces, and the minimalist form factor enhances the sleek angle of the design. A bit of light reveals the dimples beneath the black screens, divulging a formidable array of drivers under the skin. 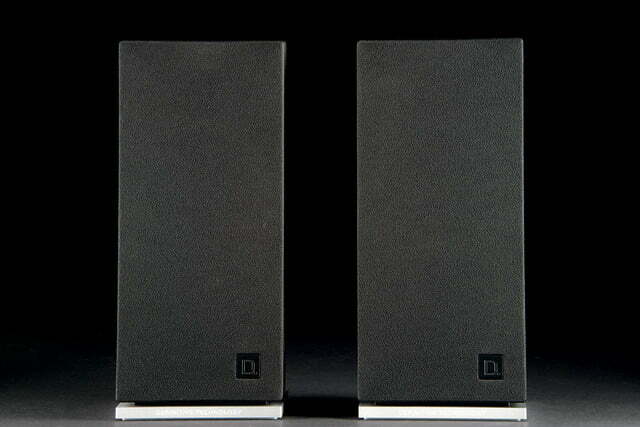 The front face of each speaker sports a ¾-inch silk-dome tweeter above a 4-inch polymer midrange/bass driver. Below that is a 4-inch pressure-coupled bass radiator, and holding down the rear-facing audio fort is another full range driver, completing the bipolar design. Though Definitive doesn’t disclose the dimensions of the rear driver on its site, we recently contacted the company and discovered that the rear drivers are 1.5-inches in diameter. 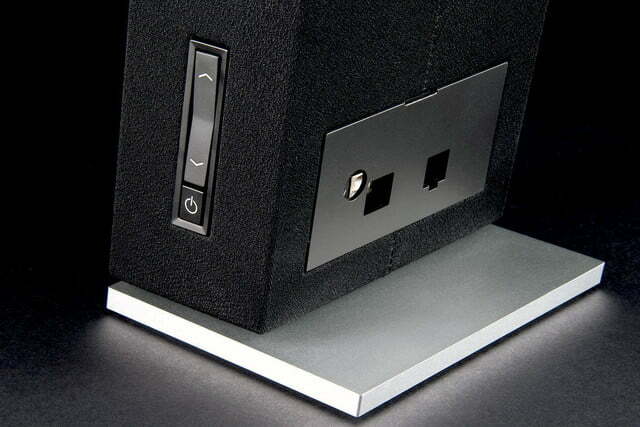 Powering the system are four 20-watt amplifiers set up to bi-amplify each tower. The system’s Digital to Analog Converter (DAC) can be partially blamed for the Inclines’ imposing price point, as high-grade DAC components don’t run cheap. 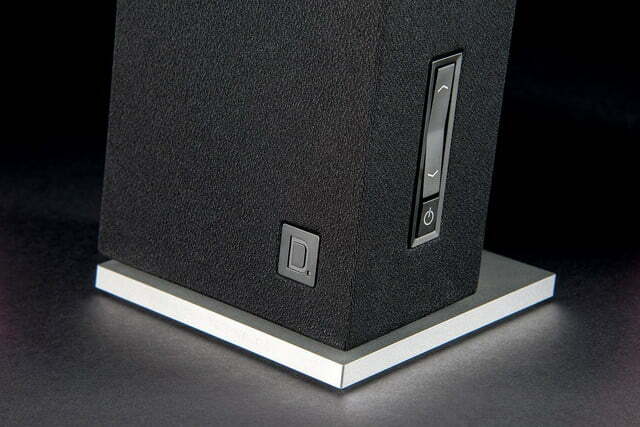 But if you want to take advantage of the DAC, which produces the best sound the speakers can muster, you’ll have to connect to the system via USB. In other words: Connect to the system via USB. Each of the Inclines measures 11.4 inches high, 5-inches wide, and 4.4 inches deep. 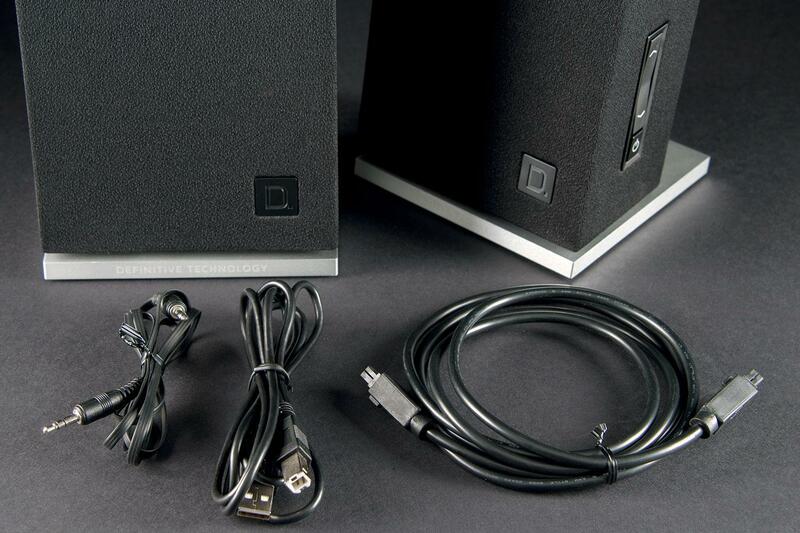 Total shipping weight is 12 lbs, and the speakers themselves weigh a little over 4 lbs each. 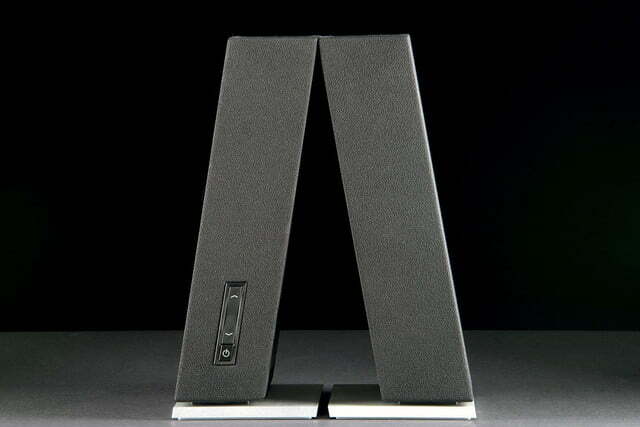 The ‘incline’ for which the speakers are named sits at 9.5 degrees, creating a nice launching pad to help the full frequency spectrum reach your ears. Setting up the system is fairly simple, especially once you’ve cracked loose the ornery plate covering the back panel. After connecting the four-pin cable between both towers and plugging in the power adapater, you can use any of the inputs to port over sound from your laptop, mobile device. 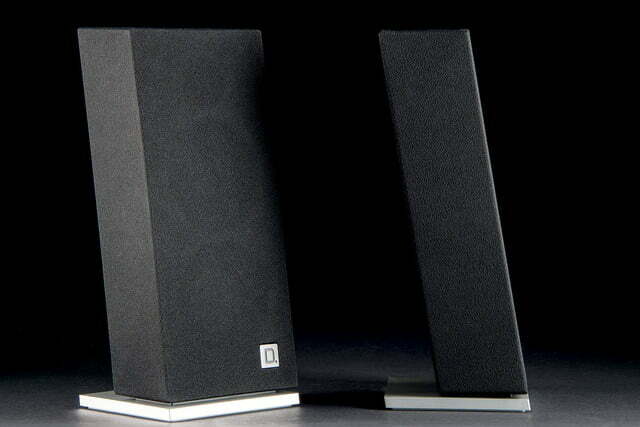 You could even connect to a TV or Blu-ray player using the optical input and expect some great sound. Apart from employing the USB or optical input to engage the DAC, the directions also indicate that optimal sound resolution is reached by holding down the power key while the power is on for five seconds, and then pressing the (-) volume key. This method disables volume control of the speakers via your computer keyboard, but you can still control volume via applications like iTunes, or on the speakers themselves. When we first fired up the Inclines, a blazing neon sign in our mind’s eye spelled out one word: BIG. These speakers are stocked with an impressive amount of straight up power, and beyond that, they’re able to deliver a massive stereo image that expanded through our test room in sweeping waves of sound. 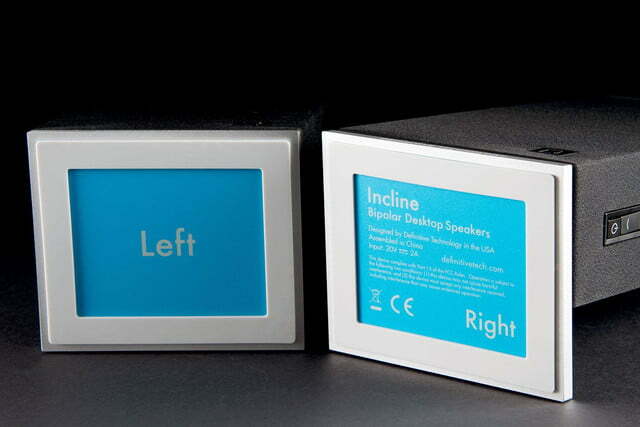 The Inclines’ ability to unleash power and presence in the low end is something most users will notice immediately, before any of the other lovely attributes the speakers possess. 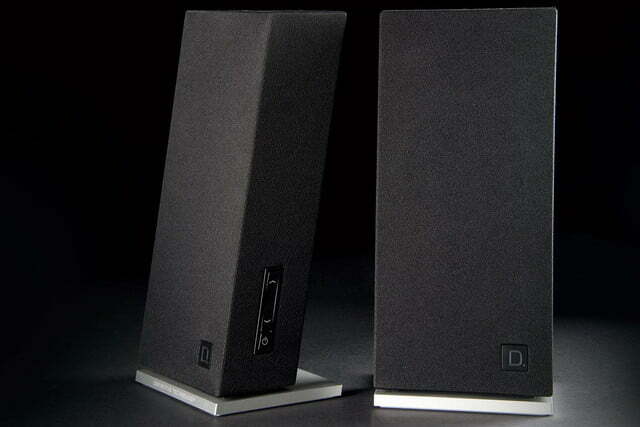 The system strikes an intriguing balance between big, full sound, and well-refined sound, putting up one of the best arguments against needing a subwoofer for a desktop system we’ve encountered yet. 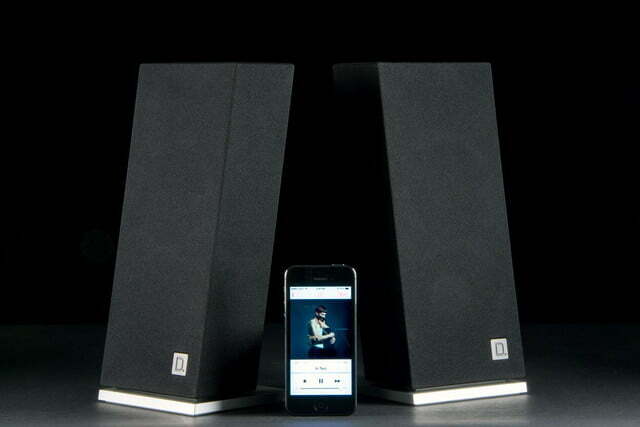 Surveying a wide variety of tracks, from Michael Jackson’s “Billie Jean,” to “Beyond” by Daft Punk, the speakers dipped assertively into the 70Hz to 80Hz range, providing a rich and rigid foundation to the sound signature. The Incline produced brilliantly polished instrumental timbres, nuanced vocals, and pronounced stereo separation. 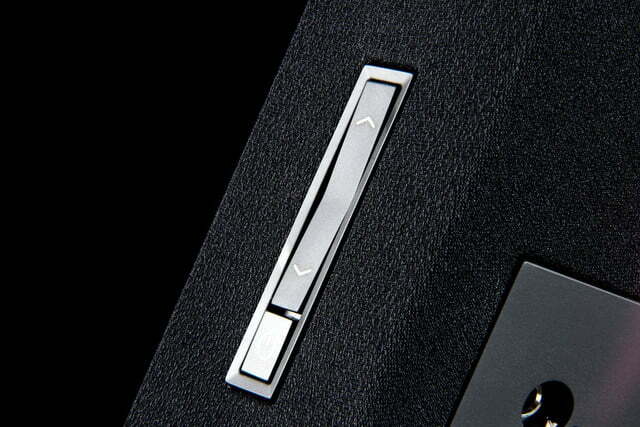 Up above, there’s also some impressive detail to be enjoyed, especially from the Inclines’ smooth and clear midrange. In case you didn’t catch our not-so-subtle hints, we highly recommend the USB connection as the way to listen, and employing the full-resolution method directed by Def Tech provided brilliantly-polished instrumental timbres, nuanced vocals, and nicely delineated entrances from tracks at the perimeter of the stereo channels. That said, those who are looking for laser-sharp precision in the highest frequencies may find the Inclines’ slightly rolled off attack a bit too subtle. Whether due to its softer treble response, or the use of the bipolar configuration for the large soundscape, we noticed that imaging wasn’t always precise, and some of the background layers of our more complex test tracks didn’t pop with as much definition as we wanted. However, while everyone’s preference will differ, we’ll take a more resigned sound over a sharper bite every time, and the system still managed to pull off subtler moments like tactile mandolin finger picking, or textured harpsichord arpeggios with proficiency. 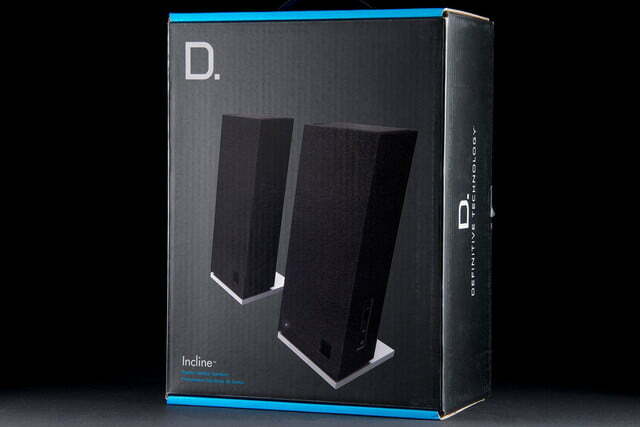 Definitive Technology’s Incline speakers provide rich, powerful sound in a compact package, with plenty of ways to play your favorite audio source. While the system’s potent performance had us wishing for a remote control or wireless connection, those seeking a compact desktop solution that rises well above the commonplace should put the Inclines high on their shopping list.